Preparation has been a multi-year process. 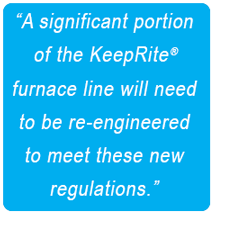 A significant portion of the KeepRite® furnace line (and those of every other manufacturer) are being re-engineered to meet these new regulations. KeepRite has been hard at work preparing their furnace line to meet these new regulations. 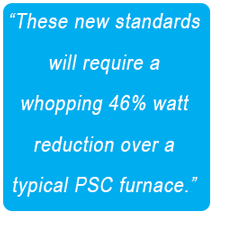 KeepRite will be rolling out new lines of more efficient furnaces designed to meet and exceed FER standards throughout the first half of 2019. Stay tuned to GoKeepRite.com for a steady stream of product announcements. Rest easy knowing that KeepRite will be ready for the FER regulations when they take effect.